Much like the protagonist in Rudolph Maté’s 1949 hard-boiled classic D.O.A., Discworld Noir suffered as a victim of circumstance. Despite a previously fruitful working relationship with Psygnosis, a lengthy court case involving the two would result in Perfect Entertainment’s closure, before porting to the PlayStation was completed as Teeny Weeny Games. Not only that, but publisher GT Interactive would fold before Noir could see the light of day outside of PAL territories. Ironic, when you consider they were chosen to help strengthen Discworld’s video games appeal in US territories. 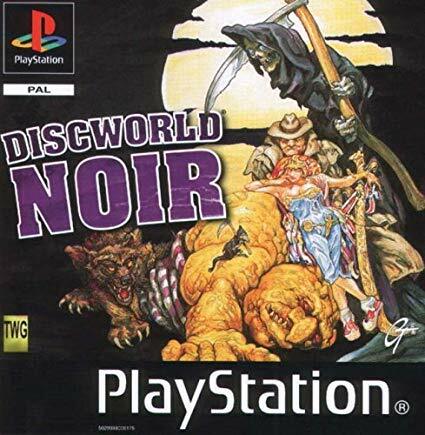 But despite all the elements seemingly conspiring to prevent it, Discworld Noir would grace the PlayStation in 2000, and it’s arguably the best point ‘n’ click on the system. 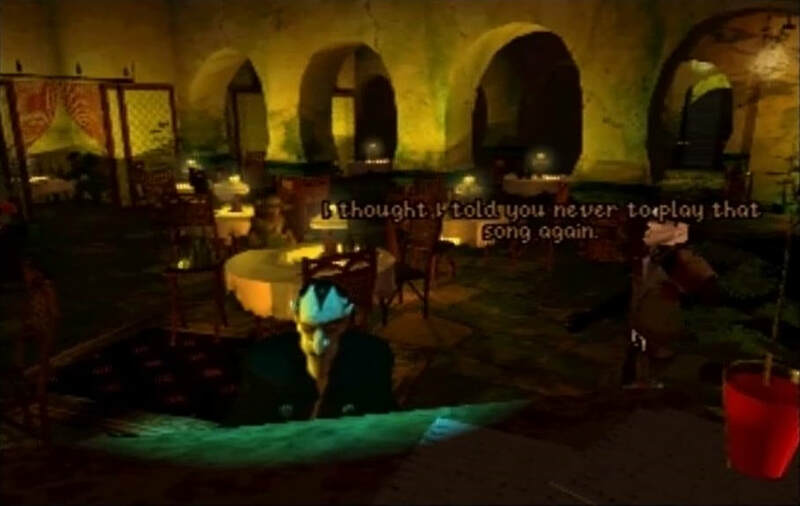 ​Created entirely from original material, unlike the previous two games, Discworld Noir’s story follows Lewton, the first Private Investigator on Discworld. 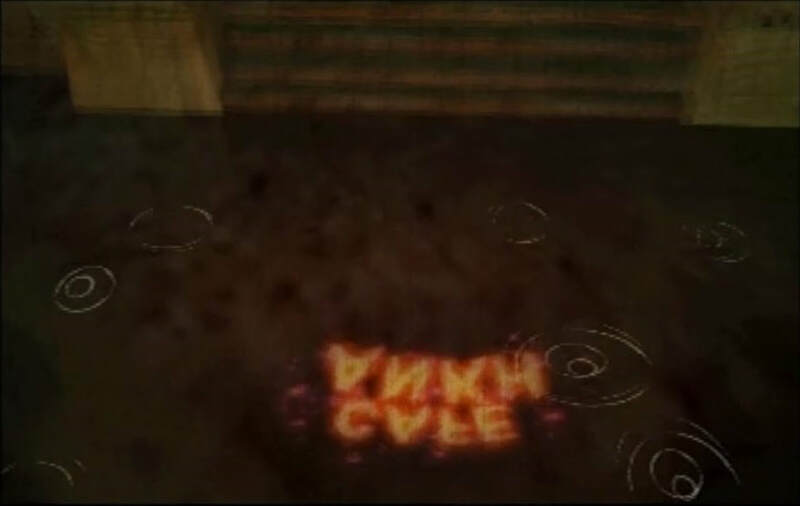 Seemingly killed at the start of the game, Lewton narrates the lead-up to these circumstances. After taking on a missing-persons case for a femme fatale named Carlotta, Lewton starts to canvas the streets in order to track down a missing gentleman. But there is far more to it than meets the eye. Not only are you met with multiple murders and twists along the way, but also a mid-game transformation which changes Lewton’s skill-set entirely. 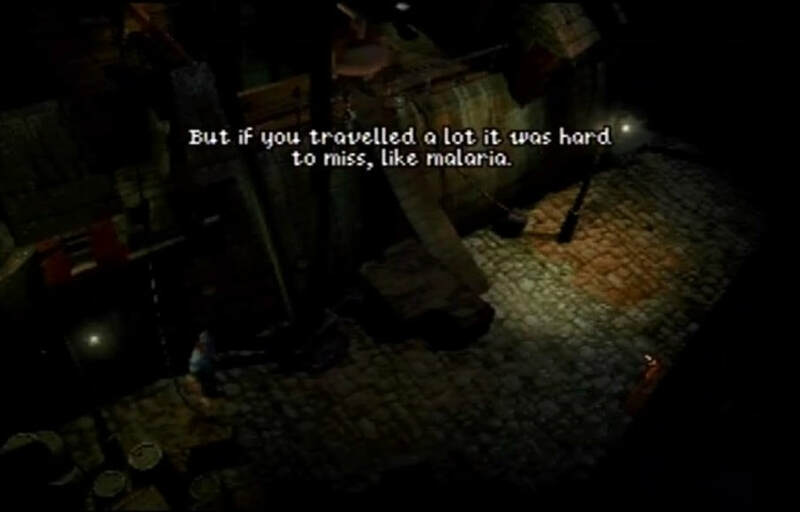 But like previous Discworld games, Noir is supremely well told, providing both an engaging mystery to chew on and some biting satire on Noir tropes. As expected, Noir takes a much darker approach to Pratchett’s universe. 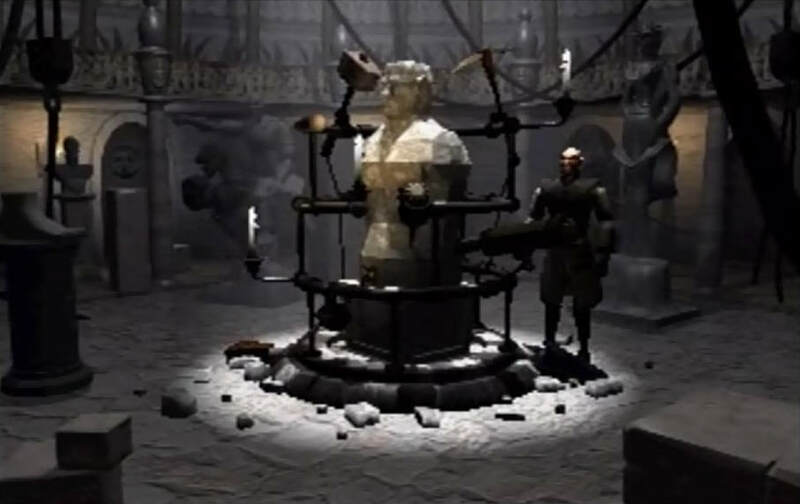 Every area seeps with dingy lighting, characters are rendered using more unsavoury designs, and the heavy use of discordant strings lends the soundtrack a seedy undertone. 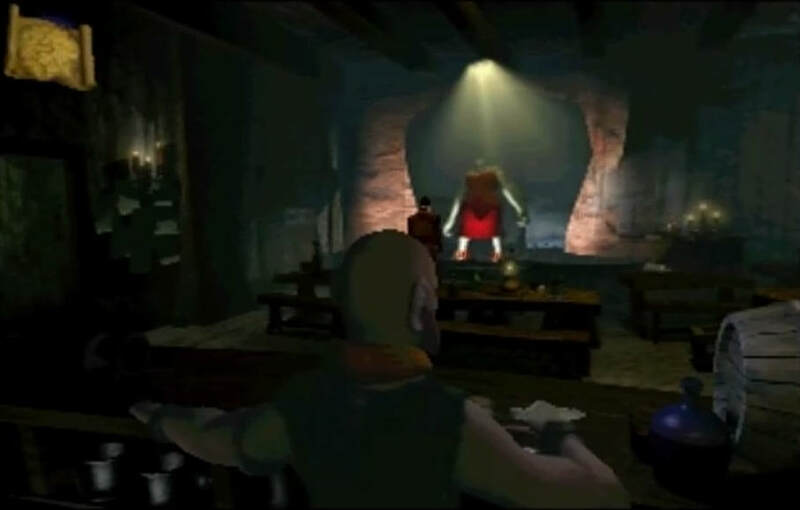 But it’s a technical step up from previous games too, as while pre-rendered backgrounds and characters make up parts of the game, many assets are now rendered in full 3D, including Lewton himself and the world map. Impressive FMVs pepper the story, and the only downside is the frame rate, which has a tendency to slow in intense situations. The voice acting perfectly nails and satires noir clichés, with a back-and-forth on hard-boiled dialogue being “steamed” a clear highlight. With talent like Rob Brydon and Kate Robbins providing the vocal work, the audio is fantastic. Discworld Noir sees real improvements in the gameplay department. At first glance, it seems to play like the previous games, with point and click mechanics separating lengthy dialogues and puzzles. But with a detective as your protagonist, there’s a bigger emphasis on finding clues through interrogation. Every key fact will be jotted into a notepad, which allows you to then use these bullet points during discussions to extract more info. This reduces the emphasis on item-hunting or resorting to insane logic, and it’s more rewarding as a result. There’s an intense feeling of satisfaction when you finally make a breakthrough in the case, asking the right question to the right person in order to gain a new lead. It’s not easy, as you can be left stumped trying to figure out how to progress. 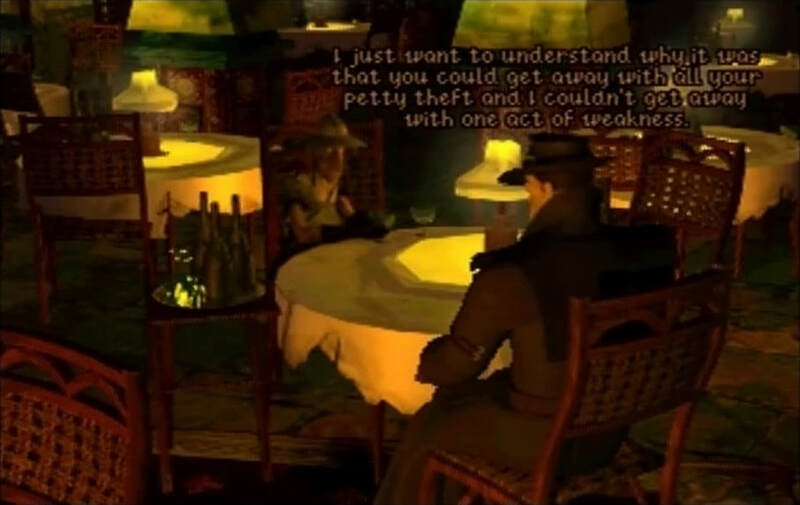 But Noir’s blend of dialogue-based progression and light puzzling proves a winning mix, and that doesn’t factor in a mid-game change which allows Lewton to utilise supernatural abilities. Discworld Noir is also so memorable for both its appreciation (and defamation) of hard-boiled genre tropes. Taking clear inspiration from the likes of Casablanca and The Maltese Falcon, it offers a surprising number of pop culture references, digs at other games of the time, and even dips a toe into Lovecraftian horror, while always maintaining a sense of audacity. It uses these setups with care, however, avoiding becoming a pastiche, and paying homage to the works it so lovingly borrows from. It’s not necessarily a game to everyone’s taste though; particularly lengthy dialogue sequences (some of which have a tendency to skip without input) will be off-putting to those expecting a quicker pace. Following the traditional four-act format of previous games, Noir is a lengthy adventure. You can easily spend more than 10 hours on an initial playthrough, and there’s some light incentive for repeat plays. Sometimes, the looser structure will allow you to earn different objects at multiple times, revealing tweaked cutscenes and paths. Missing a clue earlier could lead you to receiving it later in the game when deemed necessary, for example. Granted, it’s not one with infinite replay value, but this charismatic and enjoyable adventure will likely see you coming back for more. Despite its numerous attempts to lampoon and satirise the genre, Discworld Noir feels like a lovingly-craftd ode to it, with a pulp story that is engrossing and surprising. By fixing some of the frustrations which came to define previous Discworld games, this entry feels like the strongest out of them all. A wonderful atmosphere, excellent voice work and genuinely hilarious moments mix with a dark tale that feels rewarding to uncover. While those turned off by other point-and-clicks may not find much to like here, for fans of the genre, it’s an excellent game that’s absolutely worth playing.